Several years in gestation, the Riceboy Sleeps project was first conceived as an outlet for Jonsi and his boyfriend Alex’s visual art, resulting in the highly covetable 1,000 limited edition A6 book, printed in Iceland to highly exacting spec. Gallery shows and video installations followed, and with them the creation of the first dream-like soundscapes towards what would become this album. Recorded at home in between Sigur Ros commitments, the music took shape slowly, and suffered a near fatal set backwhen when the computer on which it was all stored was dragged from the kitchen table in the days before Apple had magnetic power leads. Fortunately some nifty and painstaking keyhole surgery effected during a sojourn in Hawaii resulted in complete recovery of the splendid specimen soon to be before you. Try out ‘Boy 1904’, which features the buried treasure of the only known recording of the last ever castrato singer. No wonder this music seems beamed in from another time and place. Enter your e-mail here to get it. Okay, so I made it through NXNE day two in relatively good condition. Still pacing myself though, we all remember how festivals get the best of me. NXNE recap is coming soon, but I’ve gotta point you towards Mardeen right now. They performed a slew of new songs last night which were amazing. They’ve only got one demo up on the site, but check out ‘Ice Truck Killer‘ (name is still tentative, but maybe they should keep it and improve that songs’ chances of making it on Dexter). 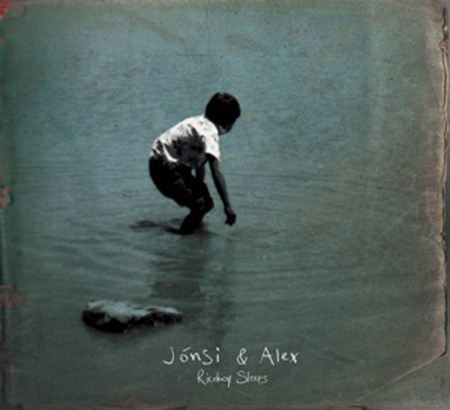 Elsewhere, I’d like to point out there’s new music from Jonsi (Sigur Ros) and Alex, together The Riceboy Sleeps. The In Sound From Way Out told us about it, check out the songs below. This will be my sunday evening come down music. I was listening to this the other night and losing myself in the ambiance. This is the Riceboy Sleeps, music to float away to. This is the project between Jonsi Birgisson (Sigur Ros) and Alex Somers. 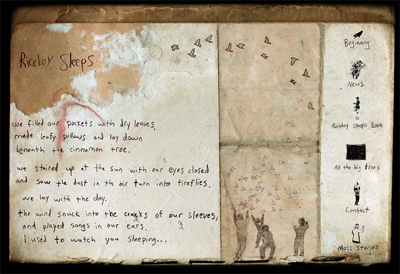 The music has come out of a four year music and art collaboration and serves as a soundtrack to a picture book entitled The Riceboy Sleeps, drawings and paintings, along with found photographs and bits and pieces from old books. I believe they only made 1000 hand numbered copies initially, but now you can order some through their label (Moss Stories). How does it work? Thats what I want to know. Do you start turning pages when you hear the lion roar twice (or was that something else). Either way, I’d like to check it out. Does anybody know anything about Parachutes?